Valentine’s day is a celebration of hearts filled with love, longing for love, waiting for love, yet unknown to love, ready to share the love, swimming in the joy and passion of love, going nuts being in love, giving more love than before, expecting to receive love and… so on and so much more. 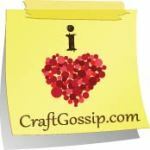 For me and in my craft world it is an appropriate time to create something that reflects love, passion and hearts. 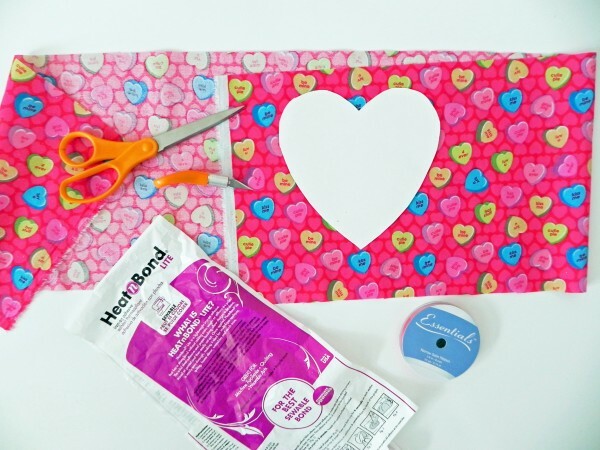 So I have made a DIY banner for Valentine’s day with fabric cut in the shape of hearts and it has super-cute print on it. 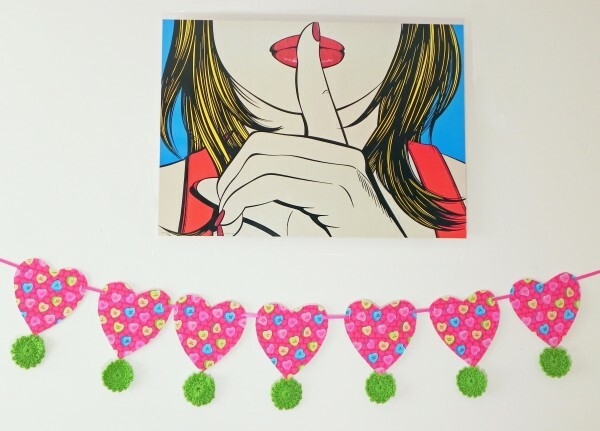 To add a little more craft to this banner I have connected to each bunting a hand-knit flower. Hope you all like it. So the first step as always is to make sure you have all the material you need for to create this banner. Prepare the material so that you don’t have to worry about anything when you are in the middle of doing things. Heart shaped stencil (I couldn’t find one in the market so made my own. It is very easy to make it. 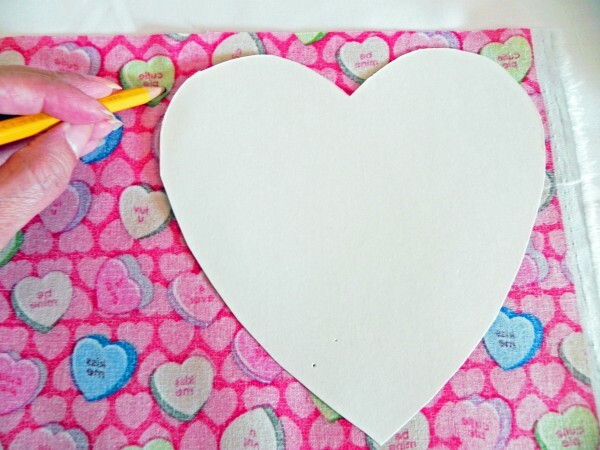 If you are good at drawing, draw a heart shape on a white sheet of paper. The size should be approx 6 x 6 inches. You can also find a heart shape on internet and print it (if you use a shape from the internet make sure you have the permission to download that artwork). 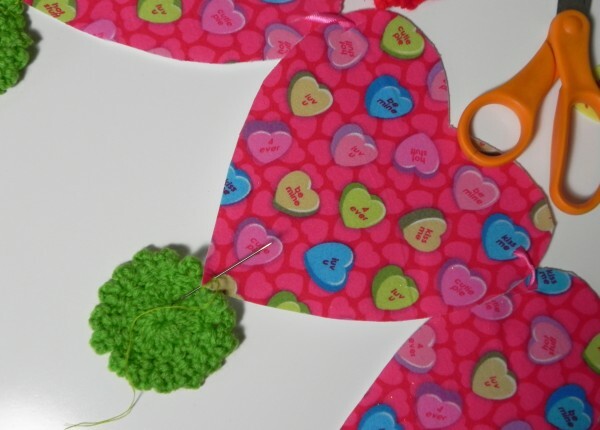 Use a heart shaped stencil to trace the flower pattern on the fabric. 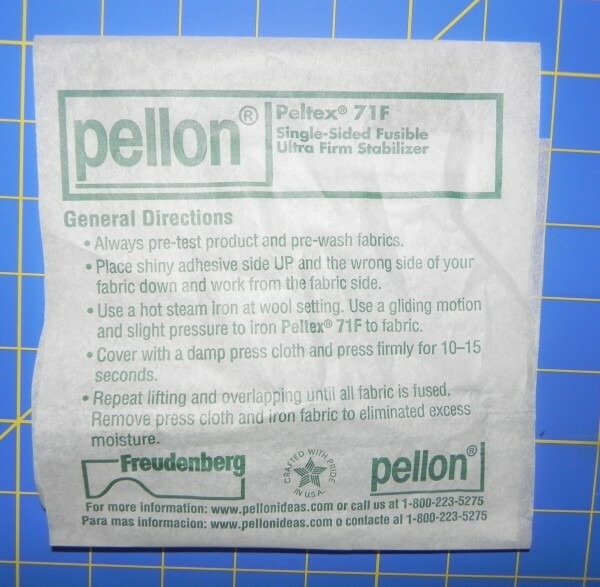 You can trace as many designs as you want on the fabric, just remember to do so on the back of the fabric. I drew 7 buntings, you can draw more or less depending on the length of the banner you want to make. 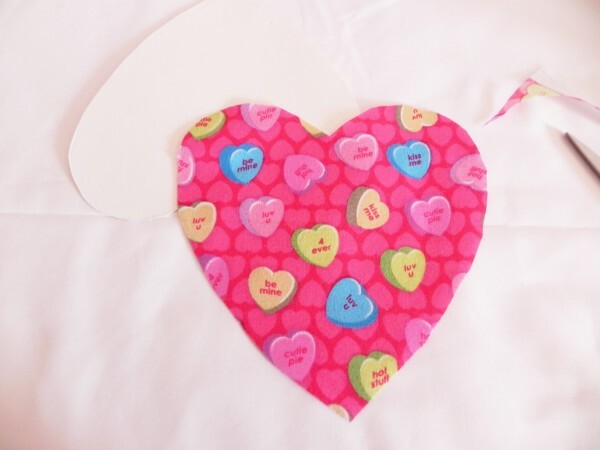 Put your heart shape on top of Iron on Backing. 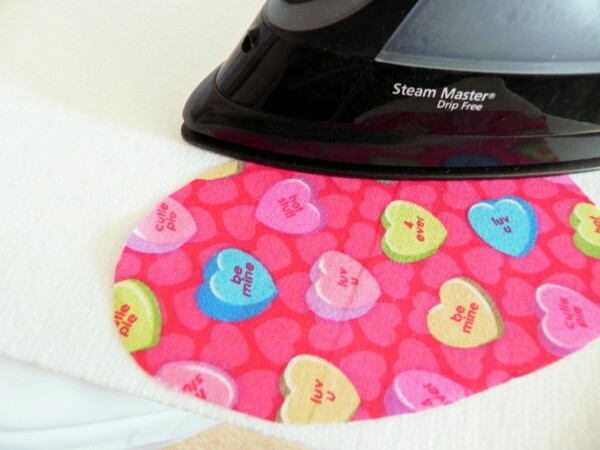 Use hot iron until fabric is fused with Iron on Backing. See instructions below in this picture. Lay a single pennant on a foam board. 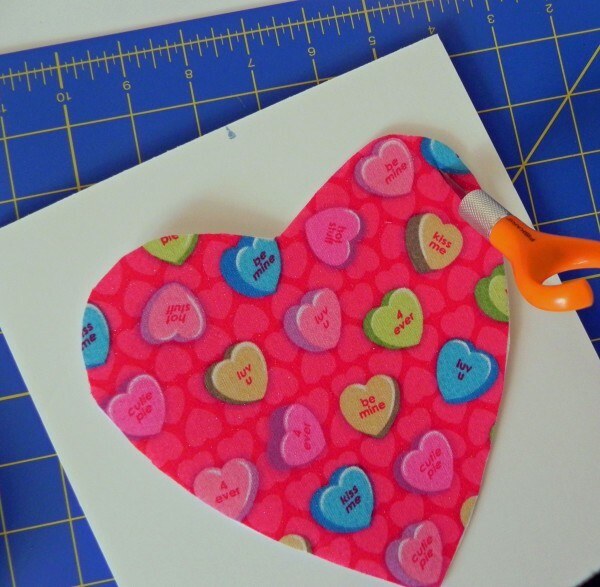 Cut two small slits on the fabric with fabric knife or scissors. Repeat the same for all pennants and then put a satin ribbon through the slits of each. The shape of the pennant doesn’t have to be heart-shaped, you can choose any shape you like. To decorate the bunting ever more I have used knitted flowers (http://www.thethinthread.com/2013/knitting-in-2013-new-beginnings/). 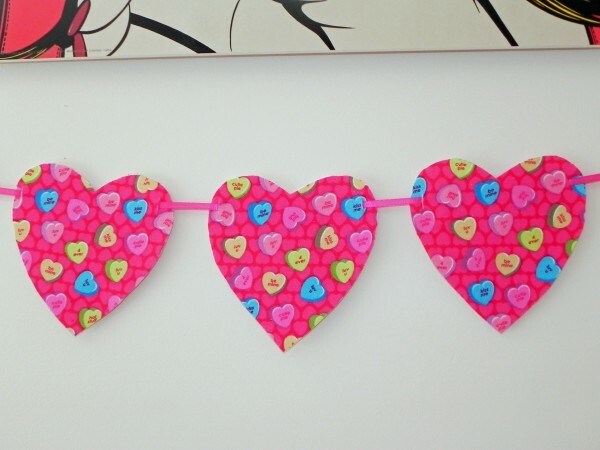 You may add any type of decoration to the bunting. 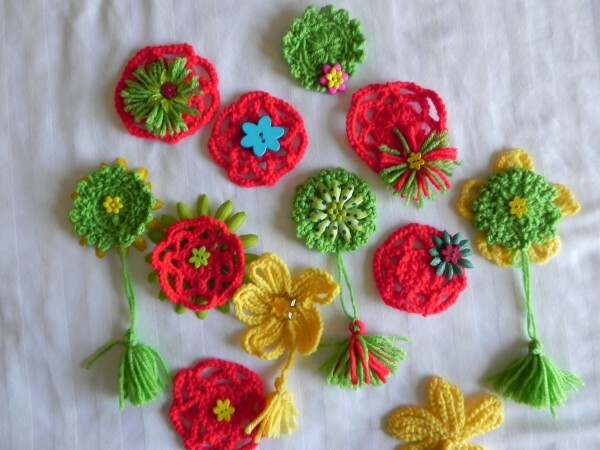 I have done something simple and used the knitted flowers which I created few days ago. Tuck your decoration with needle thread . 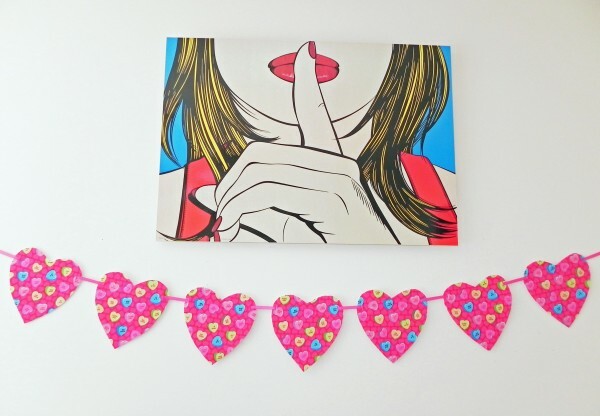 Love is in the air and this is how my DIY Valentine’s day banner finally looks like. Feel free to use this DIY to create your own and share them here. I have also put this final banner on my Etsy shop. Thanks for reading the post and if you enjoyed it or would like to share somethings, please let a comment below. A unique happy thanks giving banner, each flag shaped like autumn leaves and has cute designs block printed in vibrant colors. Made with high quality fabric. This is a “Do It Yourself” project for which you can get step by step instructions with pictures on my blog thethinthread.com. You can also buy the finished banner here on Etsy.